Subtitle: The only more powerful occult number than "333" is "666". The fact that a global prayer call has gone out undergirded by these occult numbers is shocking and frightening! Literally, "333" stands for the occult counterfeit of being "Born Again". This call to "prayer" is a spiritual deep drop into Hell! This is a Masonic "Jacob's Ladder" event! WARNING: This prayer event might produce the "Strong Delusion" foretold in 2 Thess 2:11! NEWS BRIEF: "Global Day of Prayer Urged for Iraq Crisis: Intercessory network says the date -030303- has some special significance", by Andy Butcher, Charisma News Service, Special Edition, 2/26/2003. "As war with Iraq seems to draw closer, Christians have been urged to join in a worldwide day of prayer, next Monday. The appeal has gone out from the World Prayer Team (WPT) network, based at the World Prayer Center in Colorado Springs, Colo., which says that the date -030303- seems to have some special significance. Churches and individual Christians are being asked to set aside at least three minutes to pray at precisely 3:33 p.m., local time ... Haggard also said that Jeremiah 33:3 had been highlighted as "our call to action, 'Call to me and I will answer you and tell you great and unsearchable things you do not know.'" This call to "Christian Prayer" built around the three (3) sets of "333" is totally unbelievable! However, each Prayer Team Member is told that this March 3 event is mirrored by the "Global Consciousness" movement as well, for they are also planning a global meditation movement on March 3. Ted Haggard thus makes it seem as though he has issued this clarion call for Christians to pray at the very same time in order to combat the wicked forces of evil backing the New Age Global Consciousness movement. However, as we discuss at the end of this article, God forbids such linkage between His people and Satan's people. God forbids trying to achieve a holy result by using unholy means, or cooperating with unholy people. Now, let us examine the occult call for prayer and meditation on March 3, 2003. "The aim of this website is to bring together, even if only for a short time, the thoughts, prayers and meditations of all individuals regardless of religion, faith or spiritual belief. We believe that religious or spiritual boundaries or belief systems need not affect our ability to come together worldwide and to cause positive global change ... Our positive thoughts may be during a few short minutes at the office, at home, with friends or in prayer, meditation or contemplation." Note this sobering threat from Jesus Himself that the person who does NOT separate from the evil around him will "participate in the plagues" of judgment coming upon the ungodly. We shall return to this subject later on, but for now, understand that your participation in this prayer event may result in devastating judgment upon you, even if your motives are pure! Thus, we have three sets of "333", plus the additional "3" represented by praying 3 minutes. These sets of numbers have tremendous satanic significance, as we reveal below. Read carefully so you can see how deep of a satanic hole these churches who comprise this WPT network have fallen. 2 Thessalonians 2:11 might be ready to be fulfilled! The demonic spirit of Lying and Deception rules! We shall quote from White Magic practitioner, Elizabeth van Buren, in her book, "The Secret of the Illuminati", as she openly reveals Luciferian thought and values in her New Age book. Now, van Buren tells us exactly why numbers are important, and then she tells us exactly the significance of the number, '33' and '333'. An occultist assigns the number '333' to "death, resurrection, and ascension", and consider it to be most powerful. Thus, every occultist in the world will look at the numbers undergirding this global World Prayer call, and will conclude that this event is occult! Do not be deceived on this point. "Indeed, there is not death, as can be discerned clearly ... There is only Change! The message ... is that there is a balance one can achieve by which one can escape from the wheel of change, from life to death. This balance can be found by becoming fully aware so that both worlds are equally real to one. This awareness is found when the third eye is fully opened, the eye the symbol of which is the number '33' ..."
The highest meaning of the number, '33', is that it represents the highest spiritual consciousness to which man can attain, and that '333' represents the man-god becoming immortal through his "death, resurrection and ascension", just as the occultist considers Master Initiate Jesus to have done! At this point, the man-god experiences a fully-functional, visible Third Eye open up within him, an eye people can physically see. This is the personal aim of all occultists. They seek to escape the death/reincarnation cycle, so they never die again! This belief is the reason Adolf Hitler could plan his Thousand Year Reich! He considered himself to have achieved godhood so that he would never die again. Further, occultists seek to bring a "select number" of citizens of the earth along with them, so that the entire world can begin to go through a path to this highly exalted spiritual consciousness; at this moment, every one on earth will have a physical Third Eye, just as did the citizenry of Atlantis! Now, who is going to lead the peoples of the world into this highly exalted spiritual journey? The Masonic New Age Christ, of course! The number '33' is his highest number, and the number representing the spiritual path to perfection and physically immortality is '333'! FORMING THE "666" AND THE ALL-SEEING EYE HORUS TRIANGLE! When we turn back to New World Order author, Elizabeth van Buren, quoted above, we realize with sheer horror what these sets of numbers truly means. Listen again to van Buren, writing in her book, "Secrets of the Illuminati". Notice that van Buren mentioned a "triangle" with sides of 3+3+3! When we draw a triangle and place this formula along each side, we see that each side adds up to a "9"; therefore, we have a total numeric value of "999". As any occultist will tell you, Satanists hide the offensive "666" as a "999". A "999" is only an inverted "666" to the occultist. These three sets of '333' will alert any experienced, trained occultist that each '333' forms one side of a triangle; therefore, all three sides of a triangle are being formed by these three sets of '333'! An occultist will instantly think "triangle". Thus, the numbers of this "Prayer" event forms a "666", and a triangle with each side a '333'!! This fact is the reason that both the occult Global Consciousness group and the Christian World Prayer Team built their framework for prayer around exactly 3 sets of "333". But, what do we do with the extra "3", formed by asking occultists and Christians to pray 3 minutes? 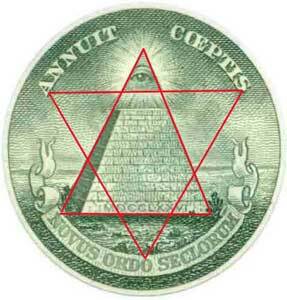 Since the number "3" to a Satanist represents the spiritual trinity, headed by Satan himself, we realize that this single number, "3" is undoubtedly meant to hover over the pyramid just as the Illuminist Seal of Satan [Eye of Horus] pyramidal symbol on the back of our One Dollar Bill. I have placed that single number "3" at the top of this pyramid. Thus, this event is foretelling the same event as the Illuminist Eye of Horus on the back of our One Dollar Bill. What is that meaning"
The numbers of this "prayer" event numerically re-create the Illuminati Seal of Satan! In the name of praying to God, earnest Christians may be really praying to bring in the New World Order, the Kingdom of Antichrist! They may be praying to the most powerful "3" of the Pagan Trinity! Who are the members of the Pagan Trinity? Once again, I reiterate: these poor people are being deceived mightily [Matthew 24:24]! In the name of praying to God, they may be deceived into praying to Satan, to bring about his kingdom! What a powerful "magical" Satanic symbol these numerics produce! 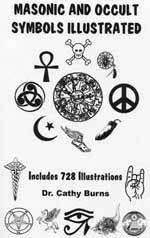 Do you remember the Satanic definition of a "magic symbol"? Can you see how "cunningly hidden" this numeric "form" -- this triangle -- truly is? This Prayer Event, constructed "by the numbers" has numerically created the Seal of Satan pyramid on the back of our One Dollar Bill; additionally, they have created an upside down "999", which is really a "666". As the world's military forces are posturing to possibly stage the planned 3-war World War III that will produce Antichrist, a call suddenly goes out from both occultists and christians to pray against this war, building the entire combined event around a set of Satanic numbers that adds up to the numbers of Antichrist as we have described above. "The number '333' speaks of death, resurrection, and ascension." "Ascension" stuck in my mind ferociously. Suddenly, I remembered the Masonic symbol of 'Jacob's Ladder', and realized that this "333" event may be designed to form a Masonic "Jacob's Ladder" on the spiritual plane! Once you understand this significance, you will truly feel the hair on the back of your head stand on end! Listen to a Masonic article written originally in 1897 define the spiritual significance of Jacob's Ladder. Notice the reality here that Freemasons -- like other pagans before them -- represent the path of the ascent of the soul to perfection, an ascent that will take the Mason into Heaven, as represented by Jacob's Ladder. In this ladder, the Mason is ascending into the supernatural sphere. Since we have proven that Freemasonry really worships Lucifer [Read articles below], we know that the Masonic Jacob's Ladder is ascending into the supernatural sphere of the demonic realm! Therefore, when a Mason or any other pagan goes through a "Jacob's Ladder" experience, he is literally opening a doorway -- a portal -- from earth to the supernatural sphere. Notice carefully the above drawing, a Masonic depiction of Jacob's Ladder; at the top are seven stars, and if you look carefully, you can see a funnel forming whose bottom spigot is pouring down right through the opening formed by the ladder, the top portion of which is hidden in the clouds! This is the demonic portal -- doorway -- of which we have been speaking. When a "Jacob's Ladder" ritual is performed, it opens a real 2-way doorway into the demonic realm, allowing a host of demons to pour into his heart, and into the Lodge in which the ritual was performed. Notice that angels are ascending AND descending on this ladder! In other words, they are both coming to earth from heaven and passing to heaven from earth. In the Masonic occult counterfeit of this true Jacob's Ladder, the ritual opens a doorway into the demonic realm, allowing demons to pass from the supernatural sphere to earth, and back again. Satan's demonic host could pour through to the whole earth. The spirits of Antichrist could actually and really pour forth on the earth. 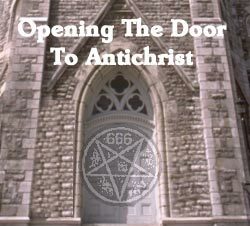 According to this unbelievable prophecy, we discover that Antichrist cannot come to this earth until the Christian Church goes into such great apostasy that it literally opens the door for him to appear! One of THE major signs that the End of the Age is truly approaching is when you see the great majority of Christian churches falling away from the Fundamentals of the Faith. A pastor or church leader that knowingly moves away from teaching the "full counsel" of God, and begins incorporating unbiblical and human elements in his services and his teaching, is exactly -- and Biblically -- opening the door to Antichrist. How many well-meaning pastors have ever thought of this sober fact as they lead their churches into areas that are not Biblical? For one pastor, this moving away from the Fundamentals of the Faith might be as simple as beginning to eliminate teachings on the inherent sinfulness of man, and allowing his sermons to be variations of the theme, "Jesus is Love", and the "You're all right; I'm all right" psychological syndrome. Or, this moving away might occur when the pastor allows unbiblical teaching into the church because such teaching has proven to be popular enough with people as to build church attendance. But, now at the same time period when so many other prophesied signs are coming together on the world scene at one time, we have Christian leaders calling for a world prayer event that based upon the most wicked combination of Satanic numbers imaginable! Can you hear the hoofbeats of the Four Horsemen of the Apocalypse thundering just over the horizon? This prayer event -- this Jacob's Ladder -- is pulling down spirits from high places, from the astral plane of the supernatural realm, opening a global astral doorway which will form a direct conduit down to earth. Down this conduit will come the spirits of Baal worship, the very spirits working to produce the New World Order, symbolized by the Seal of Satan on the One Dollar Bill. These are the same spirits that supported Ancient Babylon, the building of the Tower of Babel, and the spirits of the Illuminati as they now drive the peoples of the world into the One World System that is a re-creation of the Tower of Babel system. However, the Washington Monument obelisk is not the only one in the United States, is it? The picture above is from the Boston Big Dig web site showing the obelisk as the symbol of the new "Leonard B. Zakim Bridge" of Bunker Hill. At each end of the Zakim bridge, an obelisk has been constructed. But, that is not all the horror. These two obelisks form a "triangulation" between them and the original obelisk on the site known as Bunker Hill. Thus, the city of Boston just has received a triangulation of demonic Baal power! But, we have many obelisks in this nation -- countless numbers of them. In many cities and towns, we see obelisks, usually at a war monument or in front of a local government building. Further, in countless graveyards across this "fruited plain", we see these Baal obelisks sprinkled through the graveyards. America is "covered over" with Baal obelisks. The demons of Baal also support the modern Mardis Gras! Mardis Gras is Baal worship! This combined prayer event will open a global spiritual portal that will allow the participants to participate in the same Baal spirit as those who celebrate Mardis Gras. This prayer event will link on the astral plane the Christian church to the Baal Worship of the Illuminati. This linkage is demonstrated as the prayer event falls into the time period of Mardi Gras, thus allowing a smooth continuation of time from one event to the other! This prayer event is another Antichrist sign, leading directly to the world church and the False Prophet. The same spirits of Baal inherent in Mardi Gras will be able to flow right into the participating Christian churches. The timing is perfect. 7. Spirit of Deception and "Strong Delusion"
This combination prayer event may be dumping a huge bucket from the spirits of Witchcraft into the lap of the Christian church. They are clothing themselves with the cloak of "unrighteousness in high places" and denying Holy Spirit power. Satan has his highest-ranking demons supporting Mardi Gras; therefore, the highest-ranking demons are going to come right down this portal and flow right into the Christian churches participating in this prayer event. This opening portal is identical to the Masonic concept of Jacob's Ladder, also a portal opening into the spirit realm. IS THIS THE EVENT OF THE "STRONG DELUSION"? Many Bible scholars and preachers believe, and teach, that people who reject the Gospel before the Rapture can never be saved after the Rapture. However, I believe -- and there is no unanimity within Cutting Edge -- that the context of this Scripture does not support this view. What is the context of this 2 Thessalonians? Verse 3 -- "Man of Sin" -- Antichrist. Remember, the 7-year clock does not begin ticking when Antichrist appears, but when he "confirms the covenant", as foretold in Daniel 9:27. 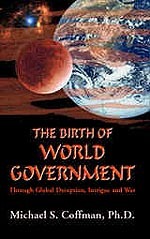 Antichrist may be on the world scene for some time before he "confirms the covenant". Verses 6-8 -- Antichrist will be revealed "in his own appointed time", once Holy Spirit restraining power is "taken out of the way" -- not removed from the earth, but "taken out of the way", so Antichrist can arise. NOTE: The context of these verses is consistently "Antichrist". Therefore, verses 11 and 12 must be in the same context. Verses 11 -12 -- The people of Antichrist who want him to appear so badly so that they will pray specially created "mantras" and repeat "666" many times daily in the belief that such repeated prayers will bring him more quickly on the world scene, are the ones who will be sent a "strong delusion" so they will believe the lie! Further, the wording here is "a strong delusion", not "the strong delusion"; therefore, God may send a series of "strong delusions" upon people at different times during the time of Antichrist. Poor, wicked regular sinners who reject the Gospel of Jesus Christ before the Rapture cannot possibly be the object of such pointed wrath from God that they will be sent a "strong delusion" to believe the lie of Antichrist and thus be damned to follow him through the 7-Year Tribulation Period and through the taking of the "Mark of the Beast". But, the people who are working -- and praying -- for Antichrist before he arises are the ones who will be sent this "strong delusion". Ignorance is no excuse! Jesus warned of unparalleled spiritual deception three times in Matthew 24 (verses 3, 11, 24) that you might consider such powerful deception as a Hallmark of the End of the Age! This Global Consciousness and World Prayer Team call to pray according to these terrible three sets of three, plus the 3-minute Christian prayer, may be at least one of the prophesied "Strong Delusion" events! As people pray according to these occult numbers, a permanent spiritual doorway may be opened that will pour the spirits of Baal out into the world in general and into the hearts of the participants specifically. God is a God of Methods as well as Results. He will never allow unholy methods to achieve holy results! It is the Illuminati who coined the phrase, "The ends justify the means". Too many people who call themselves Christian have been so badly trained in Biblical doctrine that they do not understand this very important reality. As a result of this Biblical doctrine, Christians do not bomb abortion facilities, nor do we kill abortion doctors, even though we hate abortion with every fiber of our being! Please go back to the beginning of this article where we listed the pertinent Scripture that teaches this Biblical reality. Similarly, Christians should not participate in a prayer event constructed according to Satan's most important Antichrist numbers! Hopefully, genuine Christians who are so deceived that they do participate in this prayer call will be protected by the Holy Spirit. But, while the spirit of Baal cannot actually possess a genuine Christian, they certainly can afflict you greatly. Too many people are filling the pews of Christian churches today who are not genuinely saved, having fallen victim to either "easy believe-ism " or to frantically following the experience -- which Satan does counterfeit -- rather than the actual firm Biblical doctrines of Salvation. These types of people might very well receive the prophesied "Strong Delusion" spirit of which 2 Thessalonians warns. Pass the word to your friends, neighbors, pastors and anyone else you may think may be deceived into trying to achieve Jesus' Will by participating in an event organized by Satanic numbers. This article is so very important, we have taken off the password protection so everyone in the world can read it. Alert people and pass the word. If you want to pray against this event, do so, but not according to these Satanic numbers! 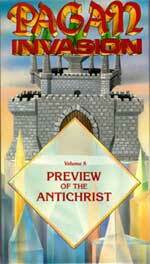 In fact, Christians should be daily praying against the coming Kingdom of Antichrist. We should not have to be mobilized according to any set of numbers, and certainly not according to Satan's set of numbers! We need to take note of one more important occult event that occurs on March 3. That night is the time of the New Moon, the darkest night of the month. In Satanism, when a witch or wizard wishes to cast a ritual that is evil, malevolent, and very hurtful to mankind, he or she will cast that ritual on the night of the New Moon. Conversely, when a witch wants to cast a ritual that will "benefit" mankind, she will do so on the night of the Full Moon. Since the prophesied religion of Antichrist is Black Magic Witchcraft [Daniel 8:23-25], the New Moon is the most important time to cast rituals. Worldwide, great numbers of human sacrifice is required when an Illuminist ritual is cast that will further the coming Kingdom of Antichrist, a.k.a. New World Order. Thus, the fact that this prayer event is being performed on the New Moon, and according to Satan's most precious numbers, is very, very significant. As the World War III that is designed to produce Antichrist seems to be on the horizon, it may be time for the "Strong Delusion" event to occur.